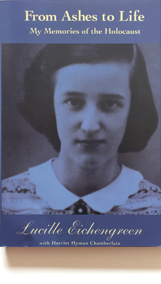 In this disturbing but inspirational account of her experiences of the Holocaust, Lucille Eichengreen relates her journey as a young Jewish girl through Nazi Germany and Poland — including internment in the camps at Auschwitz, Neuengamme, and Bergen-Belsen. It was a journey that began in 1933, when she was eight years old and witnessed the beginnings of Jewish persecution, a journey along which she suffered the horrible deaths of her father, mother and sister. Sustained by great courage and resourcefulness, Lucille Eichengreen emerged from her nightmare with the inner strength to build a new life for herself in the United States. Only in 1991 did she return to Germany and Poland to assess the Jewish situation there. Her story is a testament to the very thing the Holocaust sought to destroy: the regeneration of Jewish life. Blessed with a remarkable memory that made her one of the most effective witnesses in the postwar trial of her persecutors, Eichengreen has composed a memoir of exceptional accuracy. As important as its factual accuracy is its emotional clarity and truth. Simple and direct, Eichengreen's words compel with their moral authority. Lucille Eichengreen was born Cecilia Landau in Hamburg, Germany, in 1925. A survivor of the Lodz Ghetto and Auschwitz, Neuengamme, and Bergen-Belsen concentration camps, she came to New York in 1946. Now retired and living in Berkeley, California, she writes and speaks on the Holocaust at schools and universities. Harriet Chamberlain holds a doctoral degree in English literature from the University of California. Born and raised in Brooklyn, New York, she now lives in Berkeley, where she conducts workshops in writing, presentation skills, and critical thinking.